Your step-by-step guide to visiting the Land Down Under! Trust us: you want to visit Australia. Oz is brimming with sights to see! Whether you decide to come in the summer (Bondi Beach, anyone? Diving in the Great Barrier Reef, perhaps?) or in the winter (cold season spans from June to August, a.k.a. when most other countries are sizzling hot), know that the Land Down Under is an absolute treasure trove. 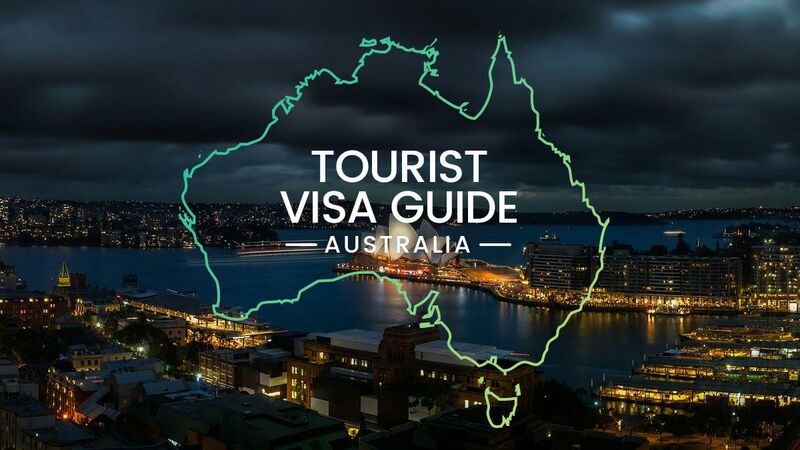 Here, we ease you into the first step: applying for that Aussie tourist visa! ImmiAccount is an account you sign up for with Immi.gov.au, the Australian government's official Immigration website. This is extreeemely vital because the entire process will be done on this single site—yep, no face-to-face interviews whatsoever! Aren't you relieved? Important: Make sure you use a working email address. Updates regarding your application will be sent here, including the acknowledgment receipt of your application and the actual visa grant. DO NOT forget your password! Follow the link sent to your email to confirm your account, then start filling out the application form! This is the equivalent of Form 1419 (Application for a Visitor visa–Tourist stream), except you don't need to physically print it out—just make sure you click SAVE. Which leads us to the cool part: If you start accomplishing the form but can't complete it right then and there, you've got no need to panic. Save any changes and continue editing later! IMPORTANT: If you're not done with the form yet, hit SAVE and not SUBMIT. No takebacksies, ladies. Online payments are accepted via credit card only. The fee is now AU$135—that's roughly around P5050. No card? You can borrow a family member's or a friend's. Another interesting point: You can pay even without submitting the supporting documents. Simply upload the additional docs to follow later on! On your application dashboard, you'll spot a field where you can upload all the required documents essential to your visa approval. The key is to submit as many types as you can, just to be safe. The more, the merrier (and the less likely you'll be denied)! e. Certificate of Employment (if employee) or Business Registration (if self-employed). This is to prove that you have an occupation to return to in the PH—a TNT is not something you want to be, yikes. f. Previous and current visas. The paranoid traveler in me scanned every single stamped page of all my old and current passports—U.S., Schengen, Japan, Korea. You name it, I included it. Take no chances! The following are documents that aren't required if they don't apply to you, but if possible and/or applicable, throw 'em in too! g. Letter of invitation. This should come from the friend or relative you're visiting, to signify that an Australian citizen has invited you into the country. j. Cover Letter and Itinerary. This is basically a letter you pen telling officials what you plan to do (hike up Blue Mountain, pet koalas and kangaroos at Moonlit Sanctuary, etc.) once you get to Oz. Super helpful! k. Recent payslips or copy of Income Tax Return (ITR). Again, this is to prove that you're employed and have the financial capability to go on your trip. l. Roundtrip flight and hotel details—if you've already booked before snagging a visa. Fingers crossed! WHEW. You're done! Now all there's left to do is wait, wait, wait. The next email you'll receive from Immi will tell you once and for all whether or not you've successfully obtained an Australian visa, so don't anticipate updates in between! Processing time is shorter than you'd expect—I got mine in just a little over three weeks. Some people get theirs after a record 1-2 days, but some have to wait a month! It varies for everyone, so stay on the edge of your seat. Good luck!